Our product range includes a wide range of rectangular lifting magnet, hopper magnet, pipeline system tube magnet, circular lifting electro magnets, laboratory testing earth magnet and prong magnet. For handling single layers of steel billets and rails in raft format, Rectangular Lifting Magnets are the ideal solution. The advantage of Rectangular (Bipolar) Magnets is that the full-face width of the magnet can be utilized for lifting the billets and rails. This features aids handling and improves operational availability Rectangular (Bipolar) Lifting Magnets are also suitable for handling rafts of billets at temperatures up to 6000 C.
We offer wide range of Hopper Magnet. 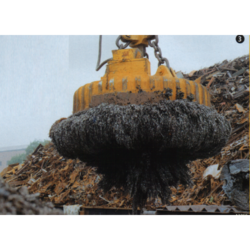 Hopper magnet removes small particles of the ferrous metal from free-flowing powder and granular materials. These permanent magnetic separators are a very cost – efficient way to remove damaging tramp metal and light concentrations of ferrous contaminants from chemicals, pharmaceuticals, cosmetics, plastic, food grain, fertilizer sand, clay and minerals. We are a distinguished team of engineers engaged in offering Pipeline System Tube Magnet. This is developed for systematic removal of ferrous metals from materials in granular and powder form during transport through pipeline systems. With varied industrial applications like chemical, resin and plastic processing this can be availed from us for simplified cleaning. Fit 2" to 20" Diameter. Our offered Circular Lifting Electro Magnets are constructed with good moisture-proofing, strong attraction force and low energy consumption benefits. 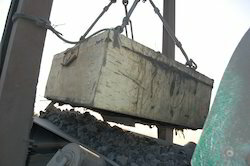 They are powerful enough to handle tons of scrap continuously throughout the day. With applications in metalworking plants to hoist and transport steel parts, forgings, casting, plates, blooms, channels, angles, rods and bars this can be availed from us for guaranteed benefits. 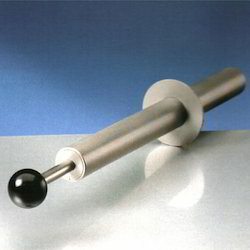 We offer wide range of Laboratory Testing Rare Earth Magnets. Tool Size: 240cm x 100cm x 210cm. Our offered Prong Magnet designed for heavy duty large volume liquid and semi liquid line flow system. 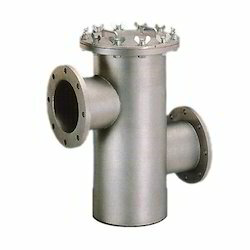 The function of magnet tubes is primarily to capture tramp metal particles migrate to rear of the tubes where they remain protected from wash-off until tubes are cleaned. 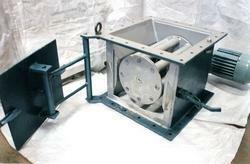 This is specifically fabricated to reduce damages and maintenance to pumps, filters and other processing machinery. Our offered Funnel Magnet are strong anisotropic permanent magnets with special configuration and are normally enclosed in a cylinder. 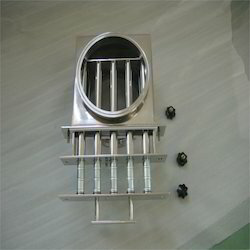 The specially designed of top plate of the magnetic funnel is provided with number of grooves to guide the slurry to a specific path to give the maximum efficiency. 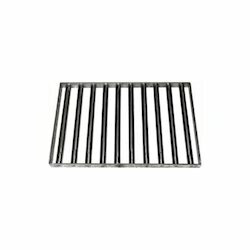 Our offered Drawer Magnet is developed with the ability to handle a greater variety of materials, more precisely and more consistently to provide ultimate performance reliability. This is a compact, self – contained unit, incorporating a vibrating bulk supply hopper and a vibratory trough feeder. This finds its application in chemicals, and plastics industries, particularly where there is a need to feed production processes at a uniform mass flow rate with coarse/fine flow. Owing to the dedication of our diligent professionals, we have earned a reputed name in manufacturing the finest quality assortment of Suspension Magnet. 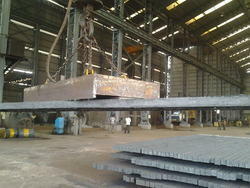 We are a distinguished team of engineers engaged in offering Flat Conveyor Plate Magnet. This is an important industrial separator that is meant for the separation of fine ferrous materials and large pieces of tramp iron. 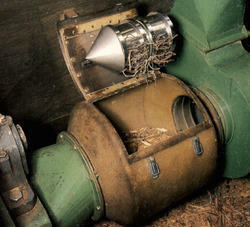 Moreover, this specifically designed for easy installation in the granulator’s feed tray. Rotary Clean Flow Magnet remove iron particles from powders and granulate. 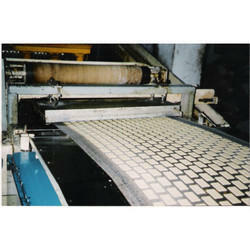 This prevents damage of expensive machines and guarantees an iron – free final product. As its magnet rods are mounted above each other in staggered position, the non – rotary clean flow magnet is only suitable for material, which easily flows through the machine. Substances, which are sticky and irregular in shape, as for instance milk powder or meat powder, form a bridge over the magnet rods. 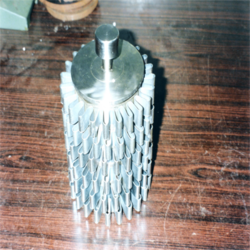 To ensure optimum deferrization in these cases too, Electro Magnetic Industries now introduces the new rotary version.